Date/Time - 21 Jan 2018, Sunday, 8.00 p.m. Description - Would you jump at the chance of doing your bit to support Bible missions, while joining in a heart-pumping night of wonder, celebration, and worship? 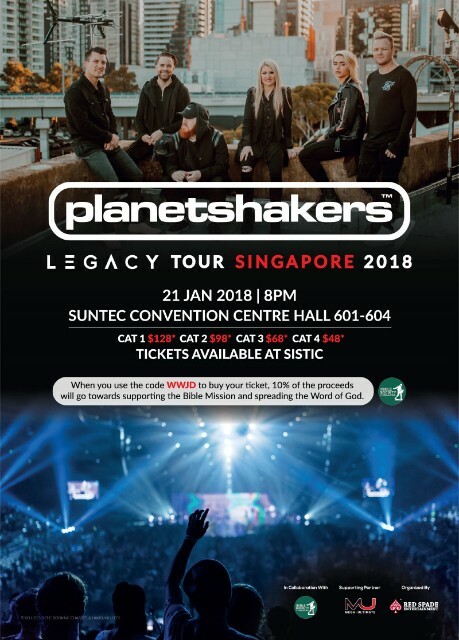 Here’s your chance with the highly-anticipated Planetshakers Legacy Tour! The Australian pop/rock band continuously forges new frontiers, pushes the boundaries of what modern worship sounds and looks like, and have found a unique voice for conveying praise and love to God. Their music aims to empower a generation to win a generation for Christ. What’s more, using the special code (see below) to buy your tickets will channel funds to spread God’s Word! 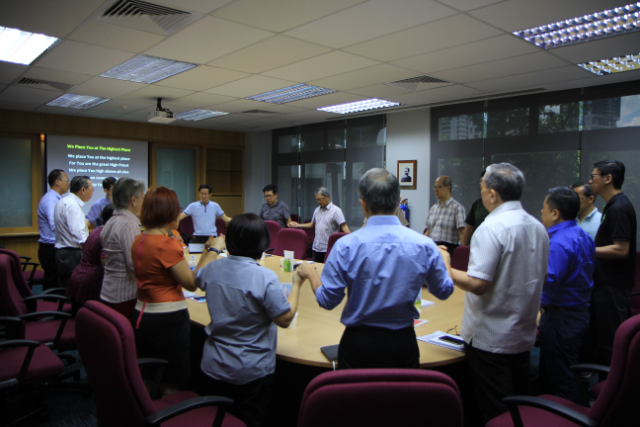 Organised by Red Spade Entertainment in collaboration with The Bible Society® of Singapore. Tickets priced at Cat 1 $128*, Cat 2 $98*, Cat 3 $68*, Cat 4 $48*. Tickets available at www.sistic.com.sg/events/cplanet0118. When you use the code WWJD to buy your ticket, 10% of the proceeds will go towards supporting the Bible Mission and spreading the Word of God! *excludes SISTIC booking charges and handling fees.